To accompany his Zabludowicz Collection Invites exhibition Charles Richardson invited Krzysztof Honowski to make a live event in response to his show. Referencing football chants, shirtless techno dancing, macho art philosophers and minimalist composers Headless combines video, audio and live performance to explore ideas of masculine self-image. Headless is presented as a choreography that takes the body of the artist as a locus for meaning. 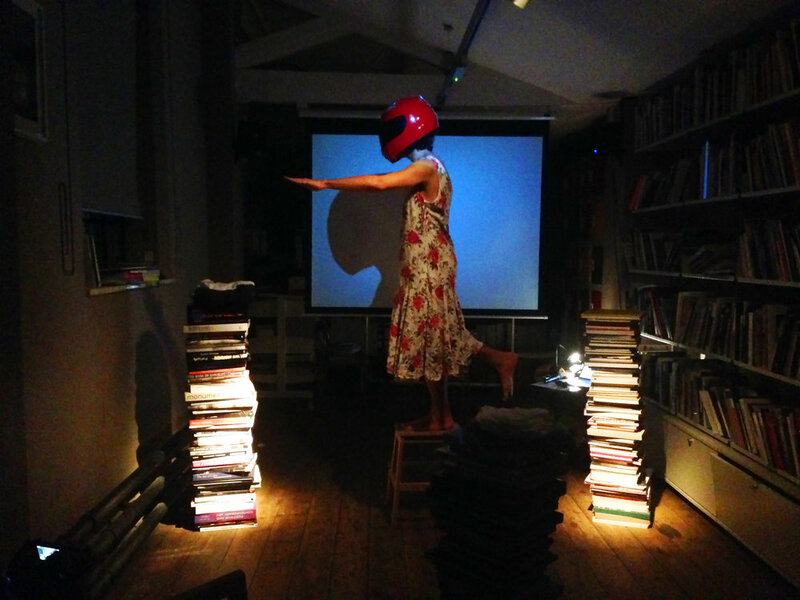 The performance took place in the library of the Zabludowicz collection, in the space architecturally parallel to Charles Richardson’s exhibition Headbone. The work was presented twice in this space, once in rehearsal on 6th November, and once before an audience on 8th November 2015. Subsequently the piece was re-performed and documented in the Library of the Overstolzenhaus, Cologne on 22nd, 23rd, and 24th July 2016.